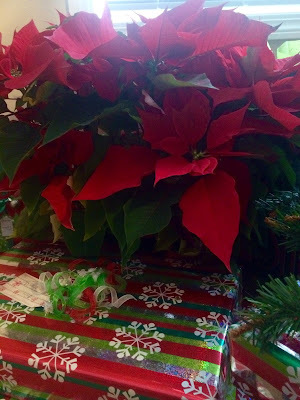 As 2015 winds down and comes to a close, we are making some exciting plans for Creation Health in 2016, as well as counting our blessings & thanking those who have done so much for us this past year! We delivered these gorgeous poinsettias to our Creation Health Coaches, thanking them for implementing the program on the front lines in their departments, to their co-workers & patients. In fact, this Christmas season they are focusing on O - Outlook by creating opportunities for the people in their units to count their Christmas blessings. 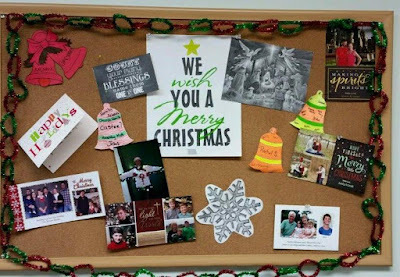 Some have made bulletin boards, others have set out collection jars/boxes and others have decorated trees/wreaths, anything they can use to allow people the chance to write down & display the things they are most thankful for this holiday season. Counting our blessings is one way to keep a positive outlook on life, which has a direct correlation to good health. We have also had the opportunity to participate in 3 different community events over the past few weeks! 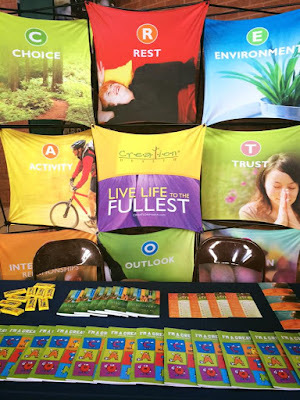 We set-up a booth, passed out materials & gave away door prizes at both the Town of Greeneville Wellness Fair for employees & the Takoma Diabetes Fair. I also had the privilege of speaking at the Roby Center again, this time giving them tips for a healthy holiday season, while Joanie Scott (Takoma dietician who happens to be one of our awesome coaches) let them taste test healthy holiday recipes. It turned out to be a fun little holiday party! Since this is most likely the last time you will hear from me in 2015, I would like to wish you all a very Merry Christmas & a Happy New Year! See you in 2016! 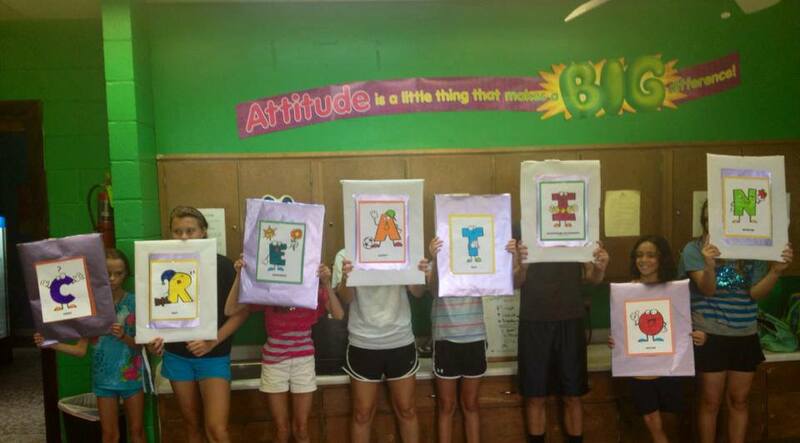 Fun Times @ The Boys & Girls Club! For the past two Mondays in a row, I have enjoyed sharing Creation Health with the 5-9 year olds @ the Greene County Boys & Girls Club. As always, I taught them what the letters in the acronym CREATION stand for & how each letter relates to our health & happiness, leaving them with coloring books, crayons & bookmarks to take home. I have had the opportunity to speak at the club a few times each year & we always have a good time! Last week, we wrapped up our final Greene County Health Council meeting of the year, as well as our final Tobacco Subcommittee meeting of the year. It's been a another great year for the health council & I look forward to more exciting happenings in 2016! I feel blessed to be apart of such a great group of people working together, fighting for the health & wellness of Greene County! Now that volleyball season has come to an end, I am hoping to get back into a more regular blogging routine again. For now, I wanted to give you an update of some of the things Creation Health as been apart of in Greene County this fall. In August, I had the privilege of speaking to the Christian Women's Club @ Cumberland Presbyterian Church about Creation Health. 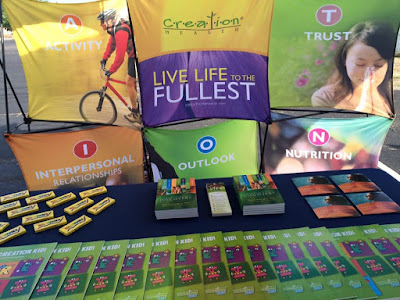 I simply gave them an overview of the program and what the letters in the acronym CREATION stand for, C - Choice, R - Rest, E - Environment, A - Activity, T - Trust, I - Interpersonal Relationships, O - Outlook and N - Nutrition, as well as how each impacts our overall health and well-being. At the end of October, we wrapped up another successful 8-weeks of seminars for the City of Greeneville employees. So far we have had 55+ participate, including police officers, fire fighters, town hall, parks & rec and public works! And these first few days of November have been spent taking inventory, so that we can order new materials for all of the exciting things we have planned for the end of 2015 and 2016. Thanks for being apart of our journey to a healthier community! Another summer has quickly passed us by and as I mourn its disappearance, I am reminded of the many great things that it entailed. In between trips to the beach, visits with family and friends, as well as checking off items on our family "summer bucket list," a little Creation Health happened along the way...and here are the highlights! First, we had the privilege of being apart of two wellness fairs. 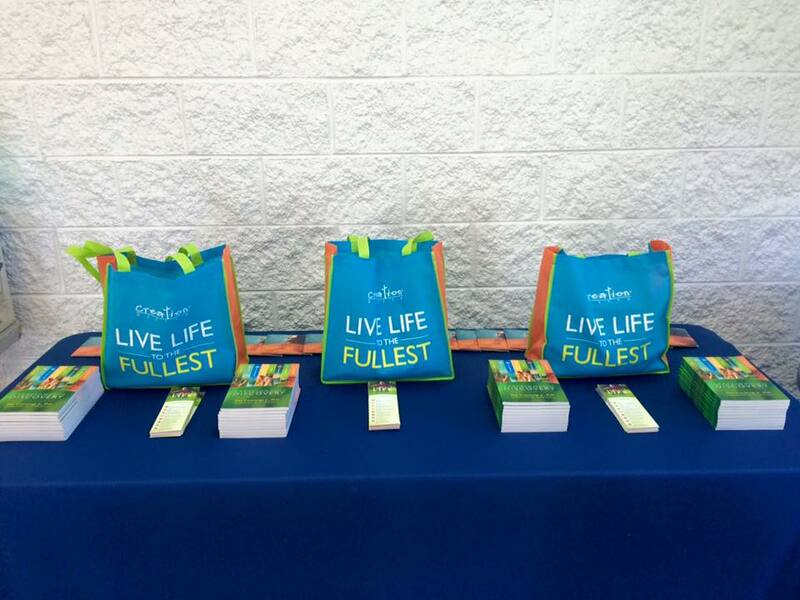 One took place @ Worthington Industries, where we handed out free books, bookmarks, dvds, brochures and other informational materials to employees. 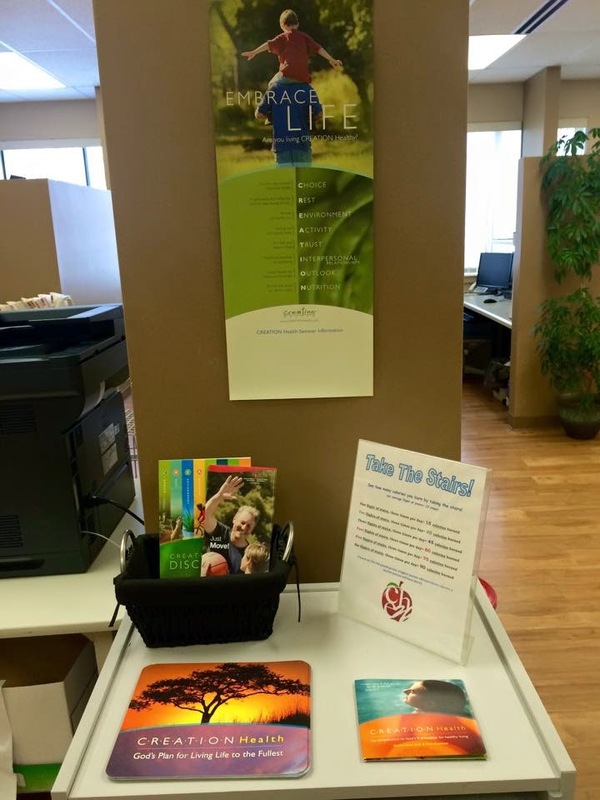 The second one was located @ the Greene County Health Department, where we handed out similar materials, including educational coloring books and crayons, to families and community members. We also made an appearance at the 1st Annual Kiwanis Kids Day @ the Astros Ballpark. It was a fun-filled day of food, games and giveaways for the whole family. Again, we handed out free materials, including the ever-popular coloring books and crayons. 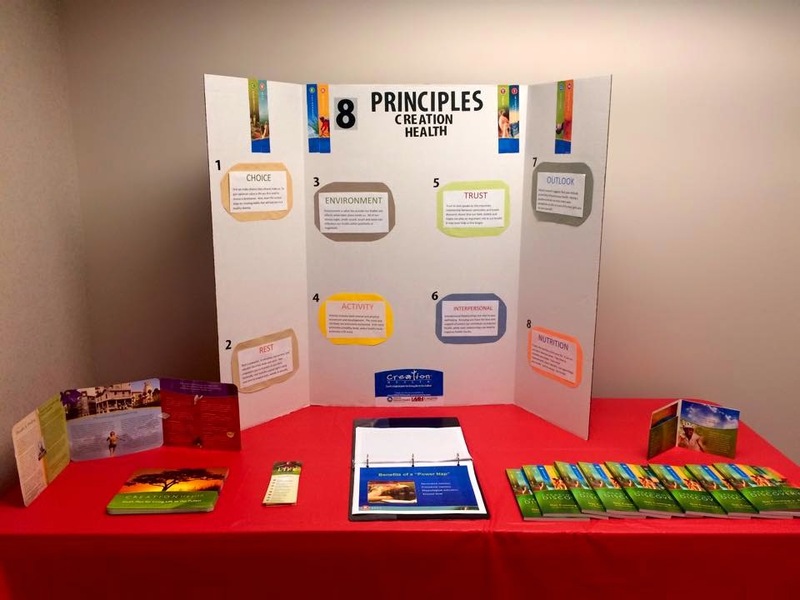 When we were not participating in community events, we spent our time and efforts bringing more awareness to the Creation Health principles inside our 2 hospitals through free available materials in the lobbies and waiting rooms, displays and other promotional activities and contests. 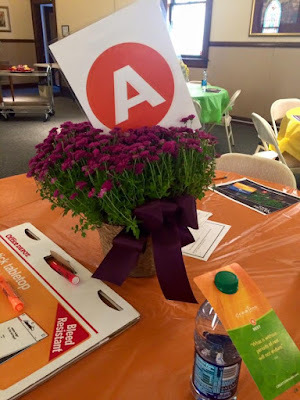 One of our main goals for 2015 has been to make Creation Health more visible inside our hospitals and we continued those efforts through the summer months as well. Along those lines, we hosted a Creation Health Scavenger Hunt for all Laughlin and Takoma employees. For a chance to win a free Fitbit ($120 Value), employees had to use clues to find the 8 letters that represent the Creation Health principles hidden around the hospital. Once they found them, they had to tell us where the 8 letters were hidden and what each letter stands for in the Creation acronym. It was so much fun and a great way to bring awareness to the program! Now that summer is over and I am back in the office on a more regular basis, you should be hearing from me more often, reporting the exciting things we have planned for this fall! Be sure to let us know if there is anything we can do for you or for your next event! 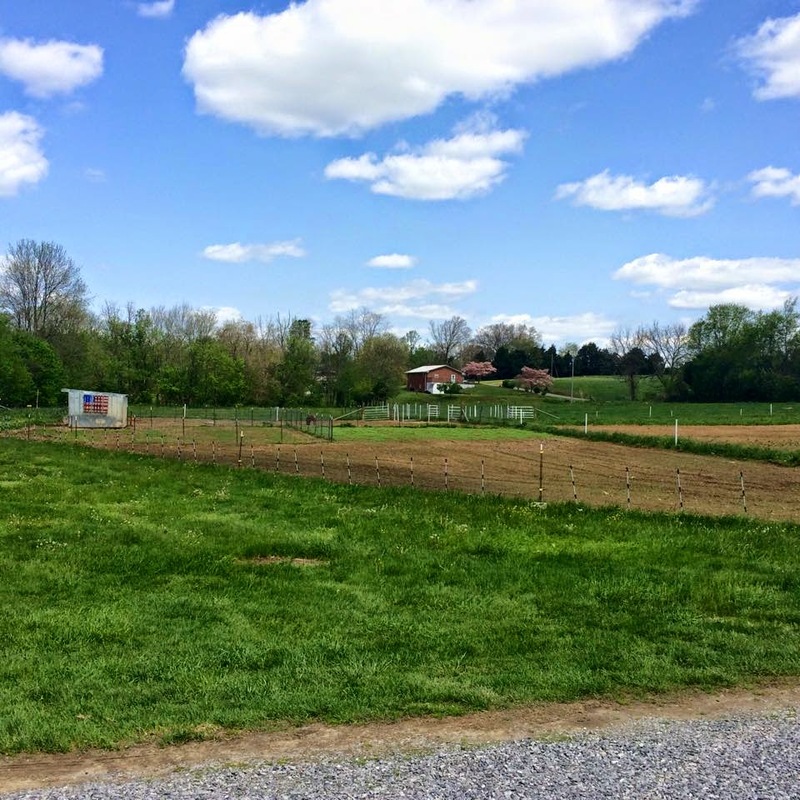 It has been a gorgeous spring week around here and the perfect weather for touring some of the finest health and wellness spots in the area, including Takoma's Creation Health Nature Trail, the Laughlin Walking Trail and Rural Resources. The Tennessee Department of Health's Rising Stars committee came into town, along with some business men and women from New York, to hear about the innovative things being done here in Greene County to promote health and wellness, not just through Creation Health but through our health department and health council, both of our hospitals, as well as Rural Resources. It was a joy to spend the better part of a day with them, beginning with a round table discussion, followed by the tours and then ending with a picnic lunch. 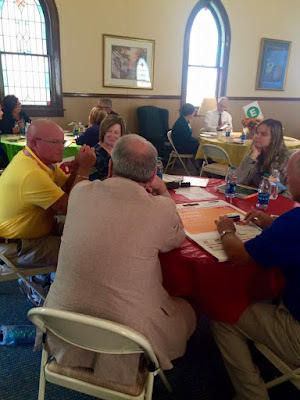 I am proud to report that this is (at least) the second time in the past year that groups of people have come here to study Greene County's health and wellness emphasis, so that they can use us as a model community on a national level. It was another shifting gears kind of day, as I left there and headed to Tusculum View to lead the Tiger Times after school program as I have been doing twice a month all semester. Since it was my 2nd visit of the month, we talked about the last 4 letters in the CREATION acronym, T-I-O-N and then went outside to enjoy the beautiful fresh air and sunshine while getting in some activity time on the playground. Unfortunately this was my final visit of the school year, because school is out next month. Crazy! I do look forward to the upcoming summer months though, since I get to spend most of my days working with kiddos. 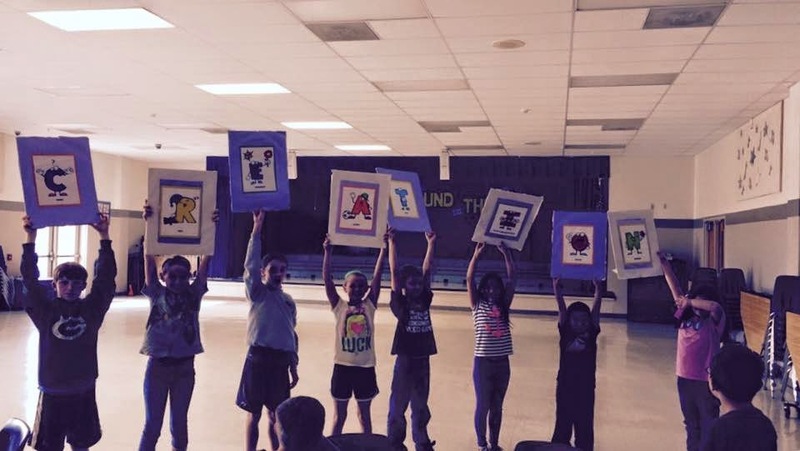 Last summer alone, I worked with 350+ kids through the YMCA, the Boys & Girls Club and the GCS summer program. I take my boys with me and we have a blast doing fun activities while learning about health and wellness! Earlier this week, I was fortunate to be apart of the local March for Babies walk, where I set-up a booth of CH materials and talked with those interested in the program. 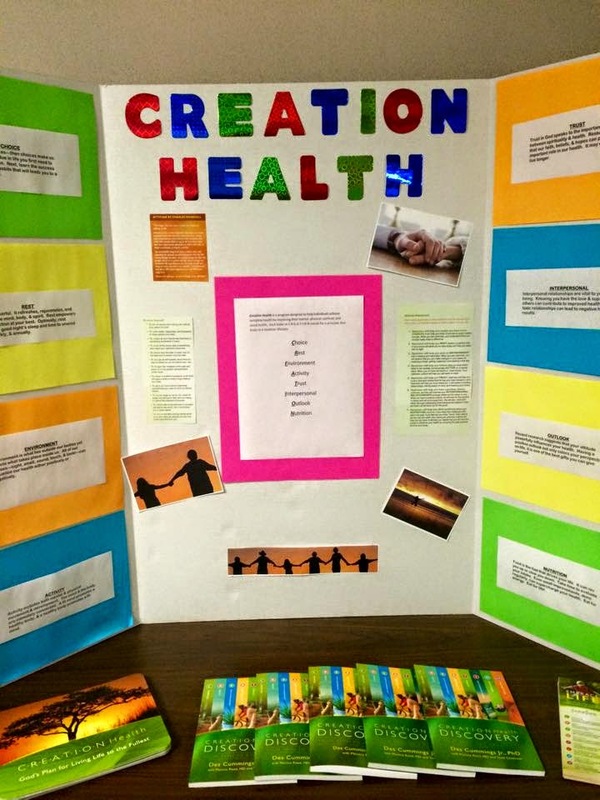 It was another full week for Creation Health - Greene County! 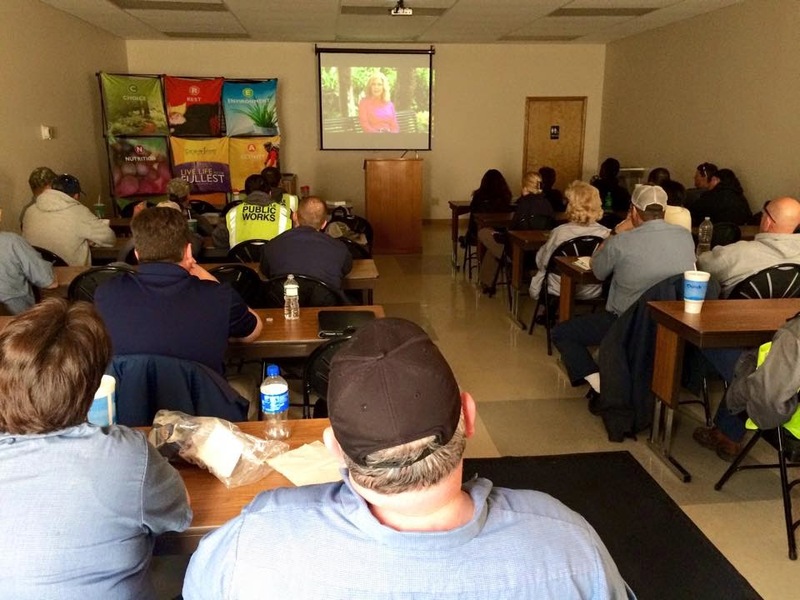 We finished the 8-week Creation Health seminar for the City of Greeneville employees that was being held out at Public Works once a week this spring, which actually ended up lasting for 11 weeks due to snow and sickness cancellations along the way! In our final session, we discussed N - Nutrition, how it is "the fuel that drives our whole system" and how "we really are what we eat." Here our attendees are pictured taking a "healthy eating self-test." You can see that we had a great turn out each week, around 35 city employees who earned wellness points by coming, which in turn help keep their health insurance costs down. 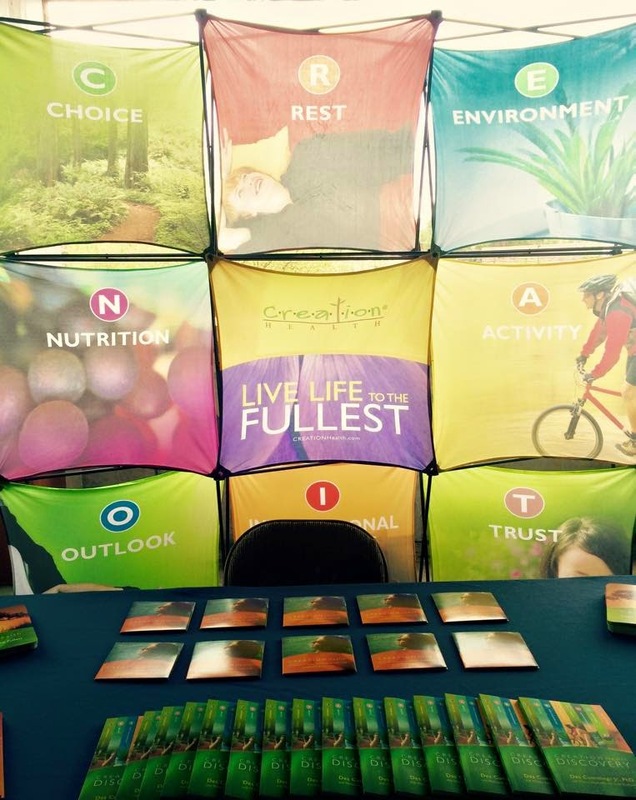 And all the while, they learn the 8 principle areas that affect our overall health and well-being. I would say it was a success and I look forward to another round of seminars with more city employees in the fall! What does the sign shown above say? 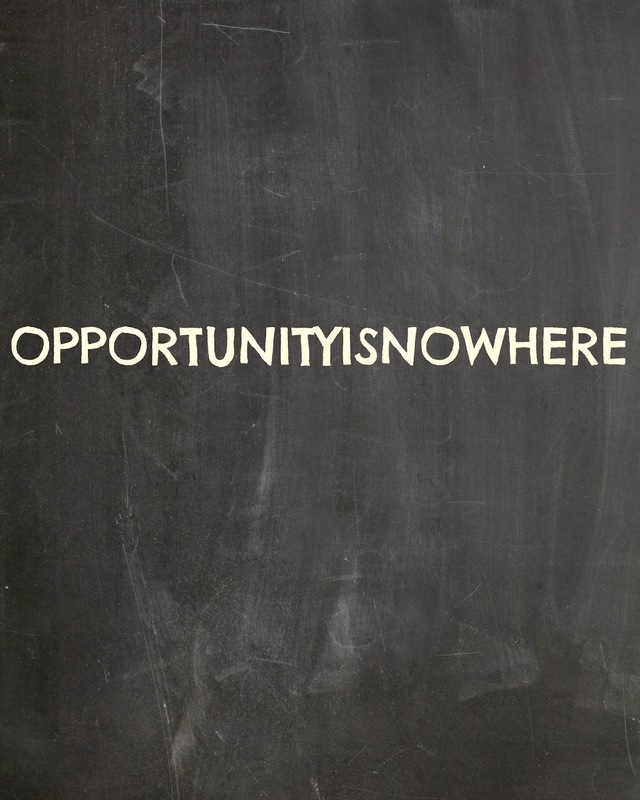 When I asked this question in the City of Greeneville O - Outlook Seminar this past week, most people in the room said "Opportunity Is Nowhere." But a few voices chimed in "Opportunity Is Now Here." It's all in how you look at it, right? If you are a pessimist, you might see it the first way. If you are an optimist, maybe you see it the second way. I have no idea if this theory holds up statistically, but I do know that there are two ways of looking at it. So it is with life. You get to choose how you are going to approach life each and every day. If things are not going your way that day, will you throw in the towel and give up, or will you choose to make the best of it? You know, the whole lemons make lemonade idea. Because our outlook on life impacts the choices we make, this is one way that outlook affects our health. And I must say that we had a great time discussing this very idea (and other scientific evidence that shows how outlook is directly related to our overall health and well-being) in our seminar this week. Hope you had a great week too! 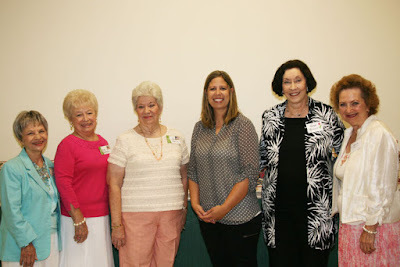 Last week I had my weekly lunch seminar for the City of Greeneville employees, where we talked about I - Interpersonal Relationships and how it is vital to our health and well-being to have a strong support system around us. I was so excited that one of my awesome coaches showed up to get a taste of what one of the seminars is like because she wants to be trained to lead seminars herself, so that she can help me lead them for patients/employees at Laughlin as well as out in the community. Yay! 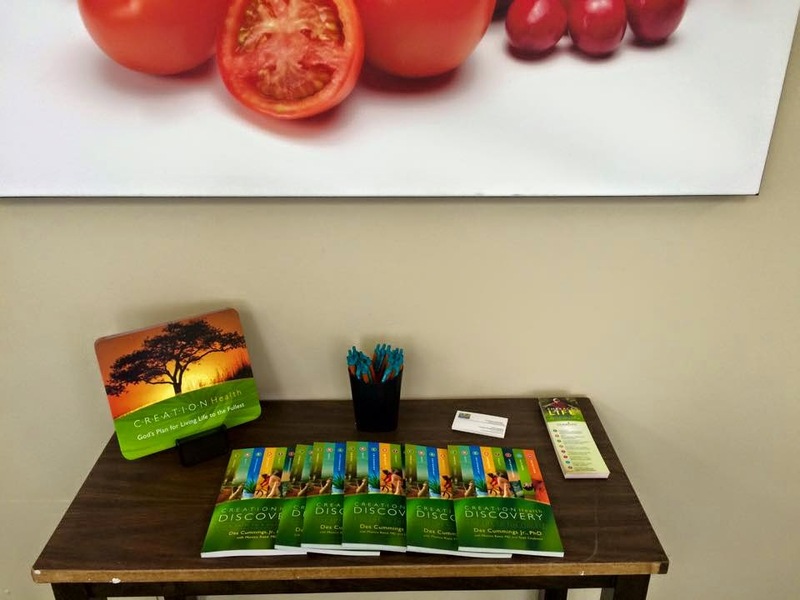 I am thrilled to report that this will make the 3rd coach of mine who is trained to teach Creation Health. I already have 2 coaches at Takoma who are trained as well. 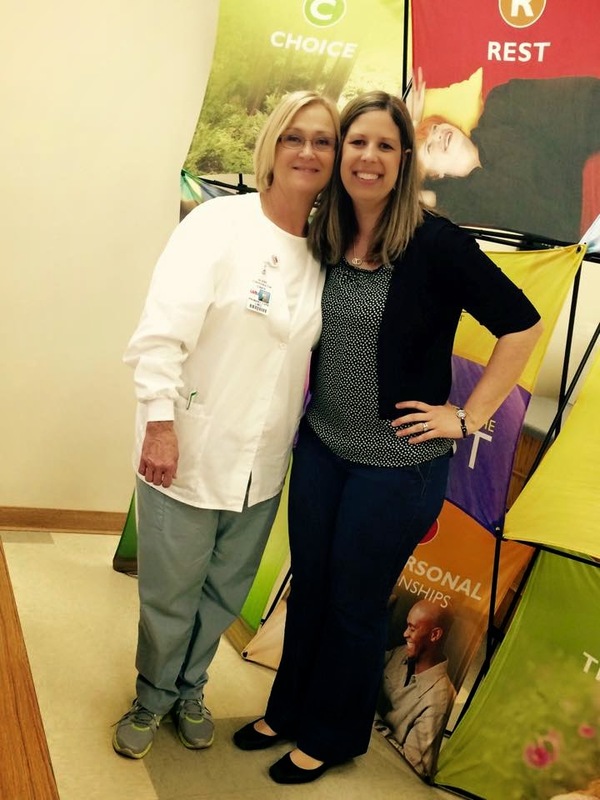 One regularly teaches CH at the Roby Center and the other at the YMCA. These 3, along with the 5 of us who are on the CH Steering Committee, makes 8 people in our community who are trained CH teachers. 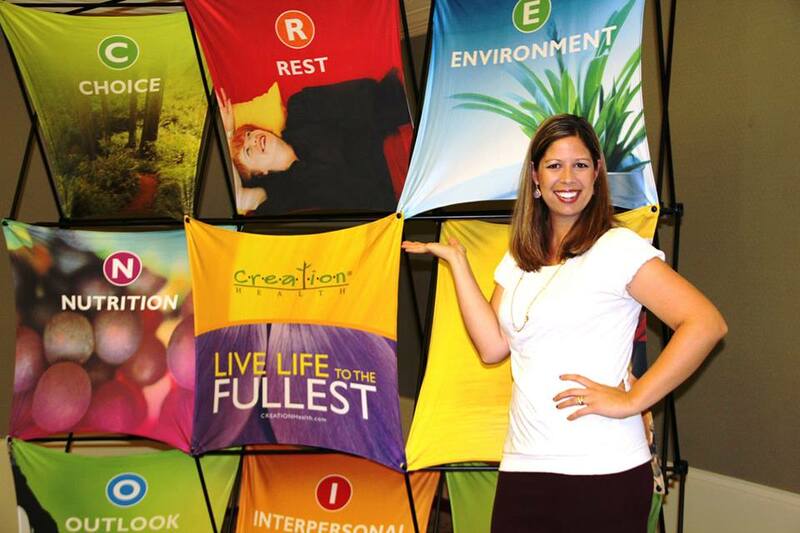 And that makes for another exciting week in the life of Creation Health - Greene County! I believe I remember saying something here a few weeks ago about "bring on spring." Springtime has always been my absolute favorite time of the year...sunshine, flip flops, tulips, watching my son play baseball, worshiping a Risen Savior, the end of school and celebrating everyone in my family's birthday. Well, I take it all back!!! ;) Ever since we moved to East TN, I suffer tremendously this time of year despite the year-round allergy shots and other treatments I am on! Okay, it's still my favorite time of year, BUT this week has been rough I will admit. In fact, I had to postpone my weekly seminar with the City of Greeneville as a result, which means I have nothing to report as far as that goes. But I do have a few other exciting things to report! Two of my awesome coaches helped me put up this lovely Creation Health display which sits right inside the entrance to the Takoma Cafe. It is our hope that people will learn and memorize what each letter in the CREATION acronym stands for and then we can have a fun little contest to see who knows their letters! I also had the privilege of working with the kiddos out at Tusculum View two times again this month. As usual, I used fun activities and demonstrations to discuss letters C-R-E-A the first time I came to see them and then did the same for letters T-I-O-N during my second visit. And now that we are having such nice weather, we were able to go outside at the end of our time together both times I was there! This week in the City of Greeneville employee's seminar we talked about T - Trust, and how a trusting relationship with our Creator on this crazy journey we call life, is in fact vital to our health and well-being. 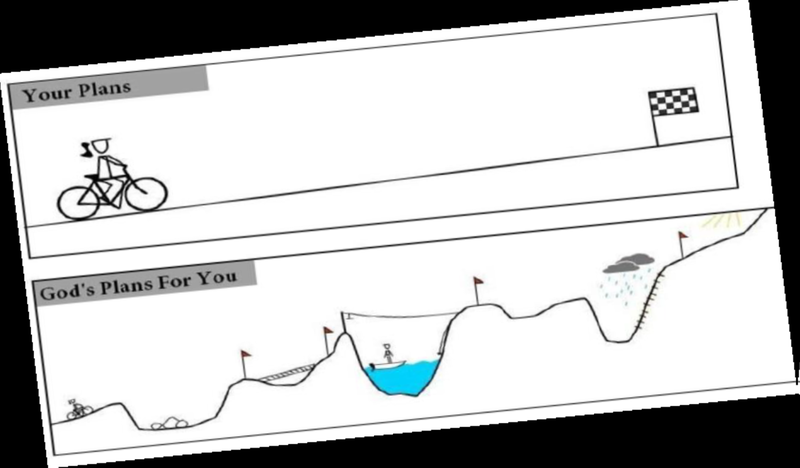 And though I must admit that the smooth journey of the top photo IS enticing, it is only in the midst of the obstacles of the second journey that we find God and are able to enjoy the blessings of an abundant, eternal life with Him, no matter our circumstances. What about you? Have you put your trust in Him? 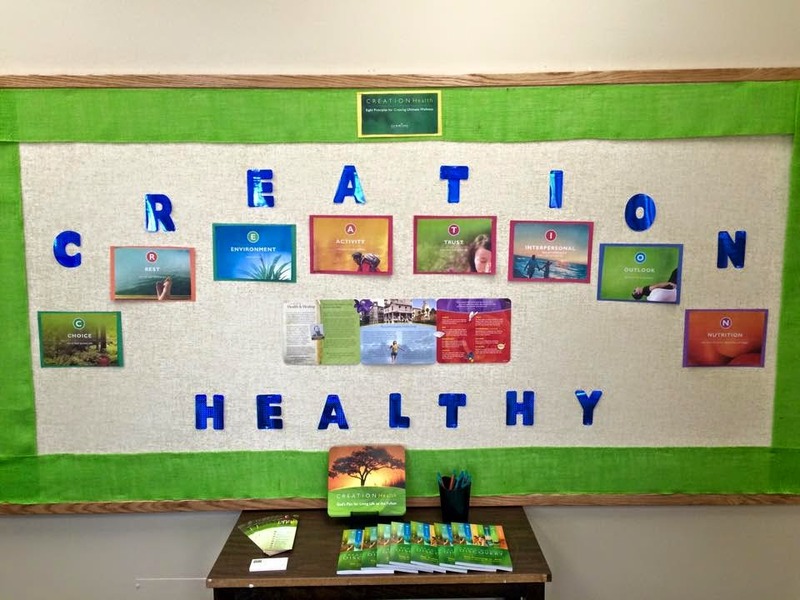 I was thrilled last week while making rounds @ Laughlin, to see that one of the Creation Health displays had been given a makeover! 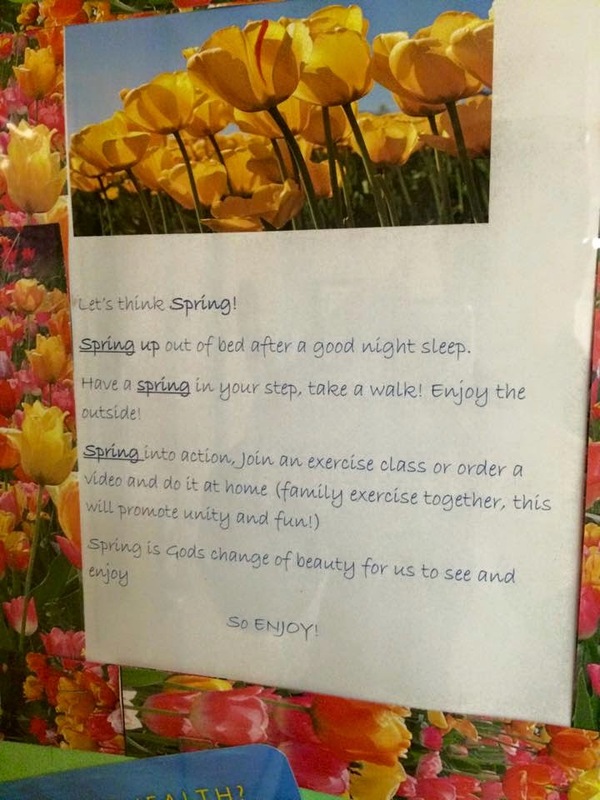 And I was even more thrilled about the reminder that spring is just around the corner, woohoo! 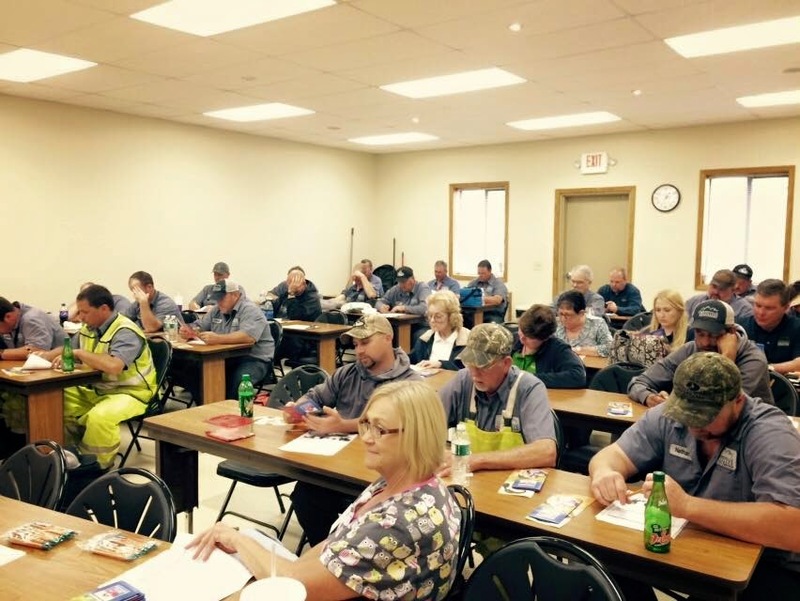 As usual, I also led the City of Greeneville seminar this week @ Public Works and am happy to report that we are halfway through the 8-week seminar and are still going strong with 35-ish participants. This week we talked about how mental and physical activity directly impact our overall health and wellness, encouraging one another to make an effort to add more "active mintutes" to our daily routines. I do not have much to report from this past week as far as events go. 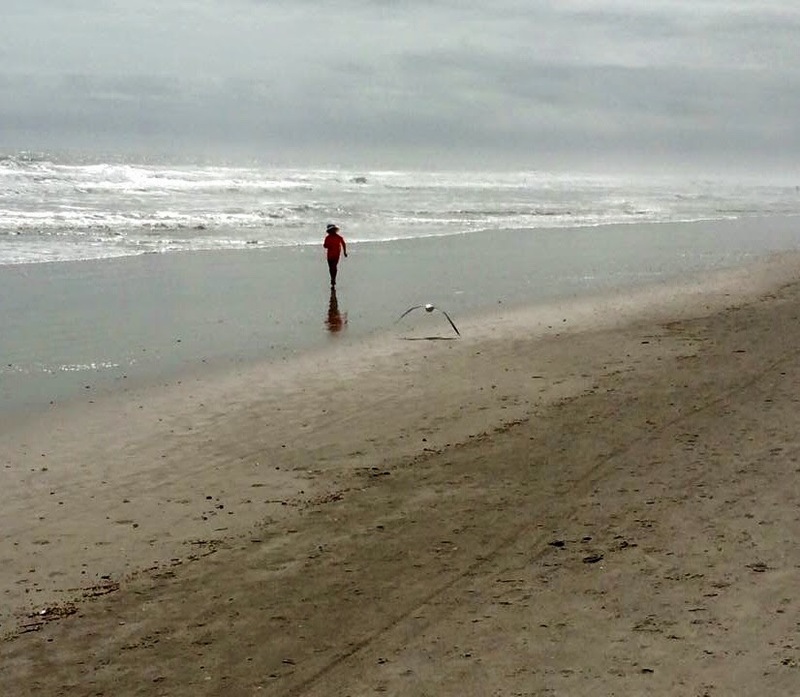 My family and I escaped to sunny Florida for a few days, where we were able to get more than Creation Health's (E - Environment) recommended 10-20 minutes of fresh air and sunshine a day. 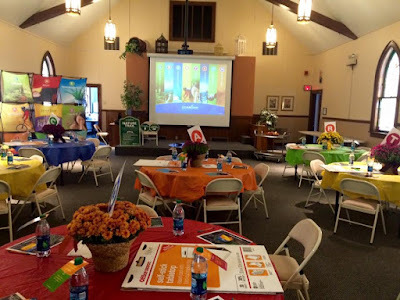 I did, however, get back into town in time to lead the City of Greeneville weekly lunch seminar for employees and wouldn't you know it, but this week we talked about E - Environment. It was great to finally be able to meet again, after cancelling 2 weeks in a row due to weather. 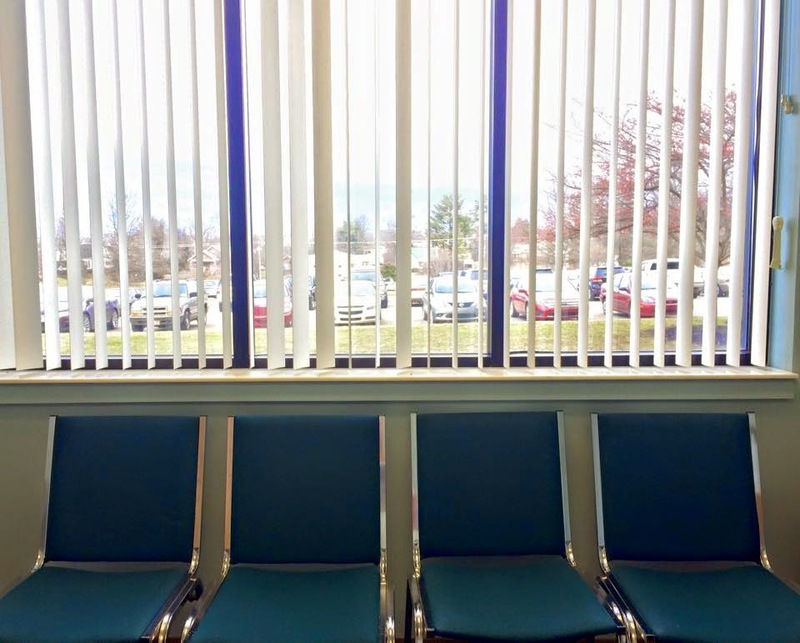 We talked about the importance of getting those 10-20 minutes of fresh air and sunshine a day, de-cluttering, bringing nature indoors, as well as other environmental factors that affect our health. I finished by showing them Takoma's new, environmentally friendly water fountain that I talked about here, followed by a giveaway of 2 Creation Health tumblers to encourage getting the recommended daily amount of water intake without wasting plastic bottles. Have a great weekend, friends! Bring on spring!! As you know, I have been doing a lot of work from home these days with all the winter weather and school cancellations. Not to mention the enormous amount of speaking engagements and events that have been cancelled and/or re-scheduled. However, I did make it up to the hospitals for a total of about 2 1/2 days this past week and I was thrilled to see some lovely Creation Health displays on my rounds! 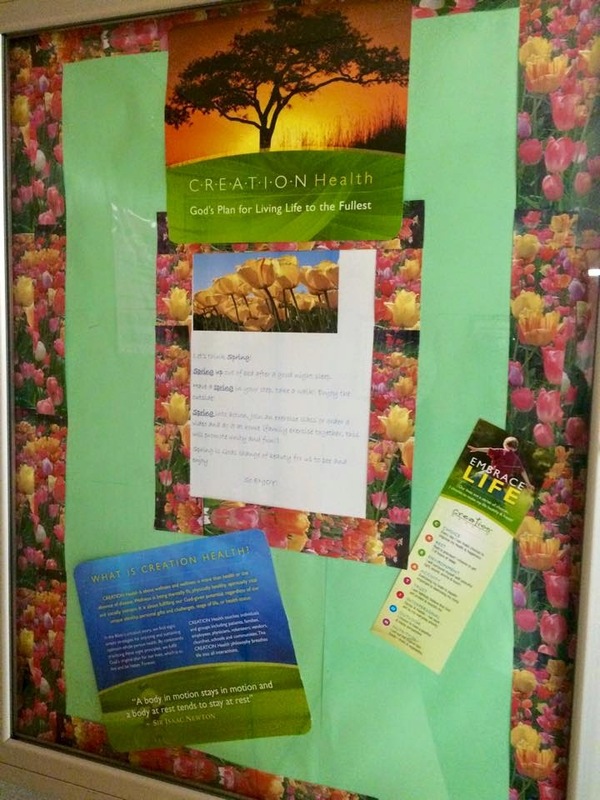 We have been encouraging our coaches (the ones who are promoting Creation Health inside their units to their co-workers and patients) to put up a simple Creation Health display in their area of the hospital, where people can find materials and information, in an attempt to make the program more visible and available inside the hospitals. And I just love all of the displays I have seen so far...they are perfect! 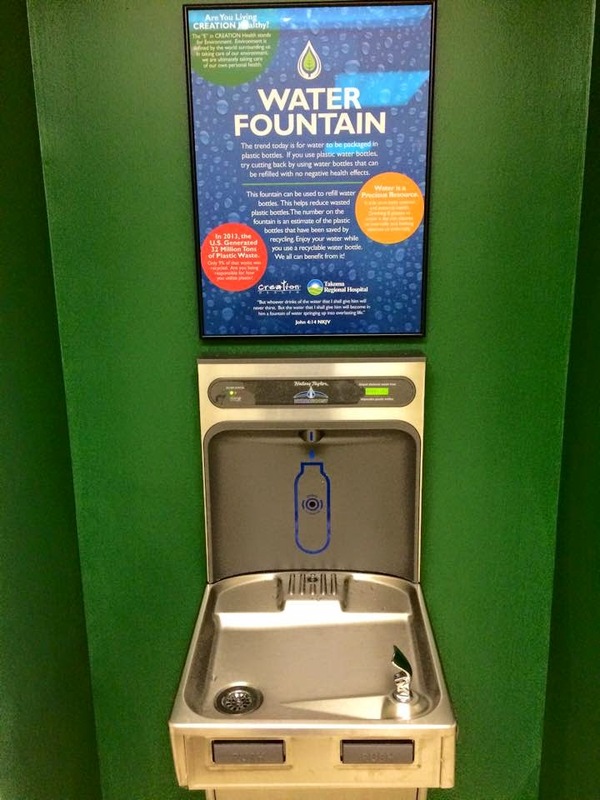 By the way, have I shown you this brand new Creation Health water fountain that sits outside the cafe at Takoma? It is extremely environmentally friendly in that it has a spout on top that allows people to refill their water bottles, so that they are not wasting plastic bottles. Plus, it is located in a high traffic area where it promotes Creation Health and E - Environment. Brilliant! Remember last week when I told you how excited I am about my new offices at Takoma and Laughlin? Go here if you missed it. Well, this week I had 5 events cancelled/re-scheduled and had to work from home because of all the lovely winter weather we've had! The first few days were so much fun...lots of family time (schools were closed the entire week), lots of rest and my boys had an absolute blast sledding and playing in the snow. BUT, I must admit that by about Day 3 of not leaving the house, I was getting a little stir crazy. Anybody with me? I finally forced myself to get out once the weather settled down, the sunshine came out and the roads cleared a little, so that I could make some rounds at the hospitals, visiting coaches and re-stocking materials. This is a display that one of my coaches at Laughlin put up in her unit and I just love it! She hung one of the brand new posters that came in this past week above a small table of materials, and it is perfect. 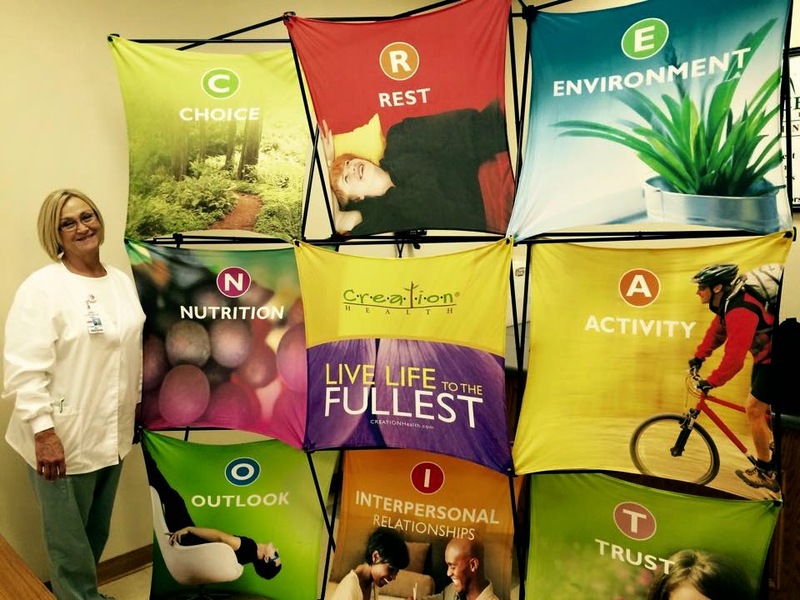 One of our 2015 goals is to make Creation Health more visible inside the hospitals and my coaches are off to a great start! Hopefully next week I will have more to report...that is if the weather cooperates. ;) Hope everyone has had a great week and weekend, enjoying some snow fun with your loved ones! I believe I failed to mentioned that I now have an office space at both Takoma and Laughlin! This is the view from my Laughlin office. Isn't it lovely? Just this past week I hosted a meeting in it, my 3rd one so far, and it was very productive. Not only was I able to add another coach on site, but my new coach and I discussed ideas for some exciting things coming up inside the hospital, which I will share when there are more concrete details. 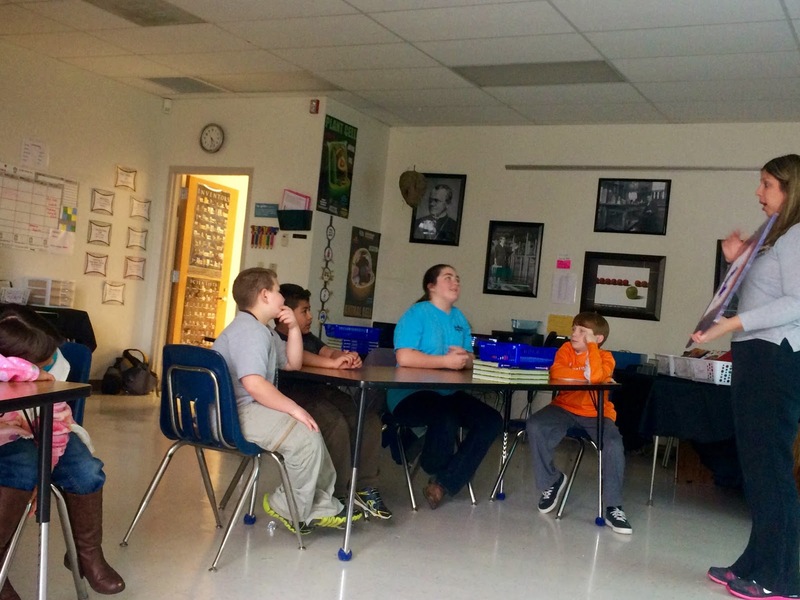 I got to work with a new group of kids during the Tusculum View Tiger Times after school program again this week and I held my 2nd seminar of the spring session (R - Rest) at Public Works for the city employees. 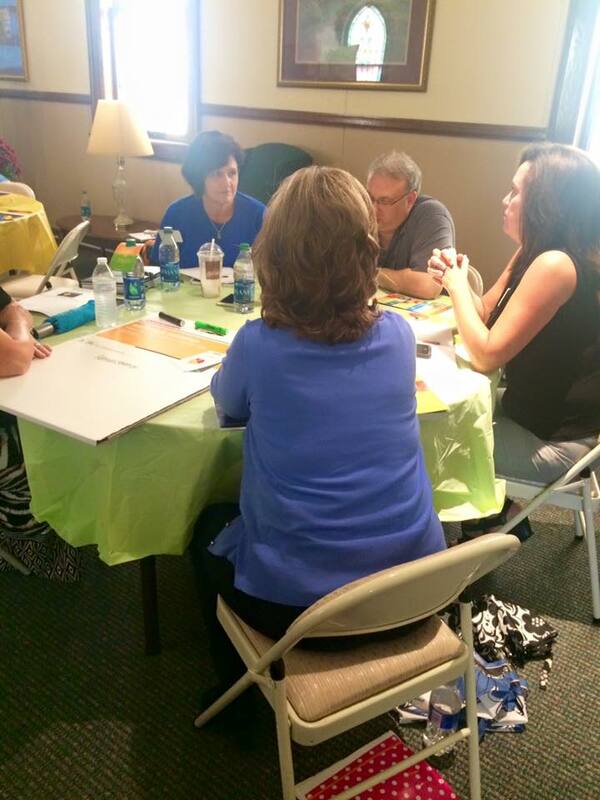 It was yet another great week in the life of Creation Health - Greene County! It was another great week in the life of Creation - Health Greene County! I told you last week how the county employees are on their way to getting healthy under the leadership of Mayor David Crum. If you missed it, click here. Today, I am happy to report that the city employees are doing the same. For at least the past year or so, city employees have been showing up to a good number of my community events to earn "wellness points" required by their employer, in order to keep their insurance costs down. This past week, I had the privilege of leading the first of 8 Creation Health seminars held at Public Works for city employees to earn points as well. There are 33 of us who will be spending 1 lunch a week together for 8 weeks, taking a more in depth look at how the 8 Creation principles affect our overall health and well-being, encouraging one another to make small changes that will lead to big results in the long run. The first seminar ( C - Choice) was a success and I look forward to working with these lovely people for the next 7 weeks and then again with a new group in the fall, for our second round of seminars. I am so thankful that the leadership in both our city and county are setting a great example for all of us in Greene County to follow! 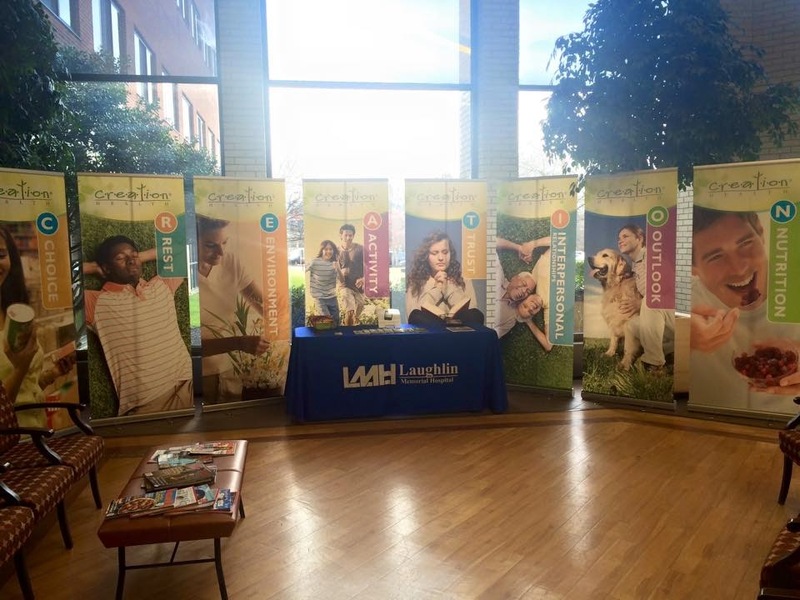 I also spent a few afternoons this past week working on the new display for the main lobby at Laughlin, alongside Wellness Director Tracy Green, and I just love how it turned out! If you are at Laughlin, be sure to stop by, take a look and grab some free materials from the table.